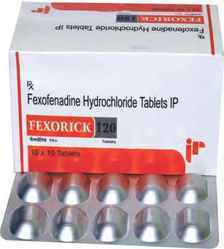 Pioneers in the industry, we offer rickzole-100 anti allergic capsules and fexorick-120 anti allergic drug from India. With years of knowledge in the medicinal field, we are able to offer Rickzole-100 Capsules. Offered capsule is formulated by medical supervisors using quality tested drugs in the most sanitized environment. Furthermore, this effective capsule is checked by quality controllers and as per the set quality standards. Known for its best composition, precise results, effectiveness and exact pH value, these products are highly recommended by the doctors. 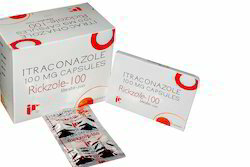 A synthetic triazole available for oral & intravenous administration. Looking for Anti Allergics ?